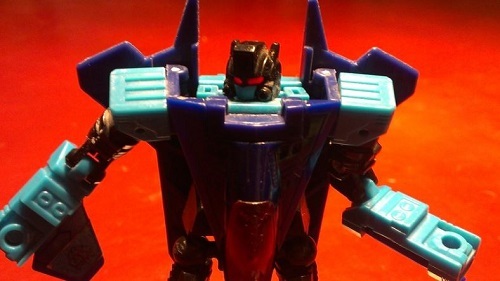 As much as I would like to get this, I've got the original Weijiang OSKO Nemesis Prime. Being in Japan, the official version might be cheaper, but outside, I'm not so sure. 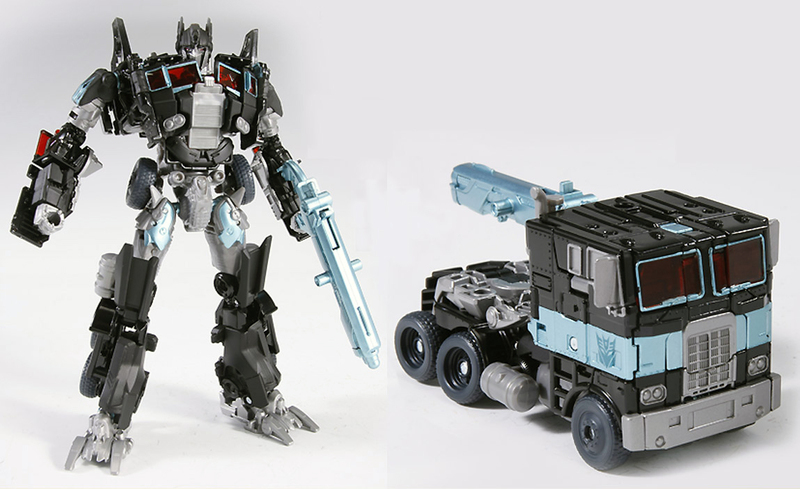 I reckon the official version is going to be over 100 dollars outside Japan, whereas the original Weijiang version is around 130 dollars or so (possibly including postage) here: - http://sirtoys.com/toys.php?c=23&p=2750 ... Black.html . Also, there's the newly released Black Mamba version (although the lorry mode is different) : - http://sirtoys.com/toys.php?c=23&p=4651 ... ck_BM.html . Thus version is about the same price as the official TT version. Both of the KO versions don't really have much teal, though. I suppose it's great that there are at least three great options for a large, film-style Nemmy-P.
Motto: "In my book: Treat as hostile here and now, apologize later!" Just wanted to show this, they had one of the Bumblebee Movie displays in a Walmart down the street from me, with blankets and posters. The poster in the middle was the one i bought, pretty cool! That one sure is yawn inducing, never really thought the Evasion Mode version was as good as it could be. But the Legendary version really lives up to its name, it's beautiful with all the teal flames and added details. SGMLordMirage wrote: Just wanted to show this, they had one of the Bumblebee Movie displays in a Walmart down the street from me, with blankets and posters. The poster in the middle was the one i bought, pretty cool! Did that display just go up at that store? Most stores had them up in December and tore them down in January. I wonder if they're going back up for the home release of the movie? The posters are the same as the ones from the first run. Looks like wave 1 of the Mini-Bots reissues are in there, too. They had one version up when the movie came out but then this particular one popped up. I guess they are just repurposing it. Adding the posters, blankets, pillows, and the Mini-bots. I bought one of the pillows awhile back, but at that time, they didn’t have th posters. So when i saw it, i thought they had torn them down. I posted a better shot of this particular display a week or two ago under the “Virginia Sightnings” where the opposite side was nothing but the Wave 1 Mini-bots. In my area, its the only display still remaining. SGMLordMirage wrote: They had one version up when the movie came out but then this particular one popped up. I guess they are just repurposing it. Adding the posters, blankets, pillows, and the Mini-bots. I bought one of the pillows awhile back, but at that time, they didn’t have th posters. So when i saw it, i thought they had torn them down. I posted a better shot of this particular display a week or two ago under the “Virginia Sightnings” where the opposite side was nothing but the Wave 1 Mini-bots. In my area, its the only display still remaining. The bumblebee display in my area was always for bedding and the like, and its been up since last holiday season. Mine was mainly toys, books, and activity sets (and the posters), plus the pillows. Ironically there were barely any actual Bumblebee movie figures, it was mostly Cyberverse and reissues (It's double sided). Not sure if this has been shown, but spotted it at a local Target here in Virginia. Alas the curse of the late wave, if it makes you feel better Helicopter Dropkick is a much better toy. 3,903 pages were recently viewed by 659 unique visitors. This page was viewed 1 times on Friday, April 26th 2019 7:10am CDT. © 2019 Seibertron, Inc. DBA Seibertron.com. All Rights Reserved. Established June 2000. Seibertron.com is owned by Ryan Yzquierdo.